Attention Charleston locals! Are you looking for a weekend getaway? Or maybe a place close by where you and your family can stay for the upcoming holidays? 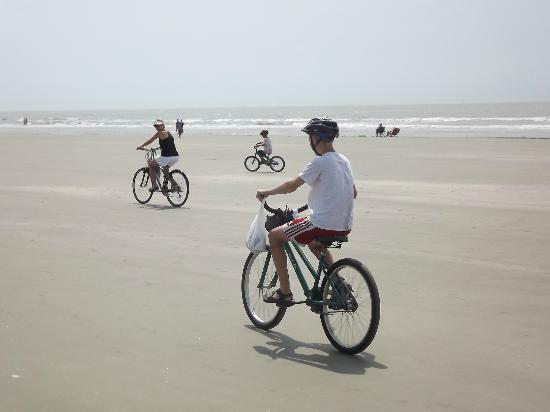 Book a Kiawah Island vacation rental and enjoy your staycation with the recommendations below. You’re on staycation! Kick back on the beach and relax. With 10-miles of sand and a breathtaking view, you’ll want to get out and enjoy it. Whether you’re taking a walk, napping in the sun, or even reading that book you’ve been wanting to finish, the beach is bound to be a relaxing experience. 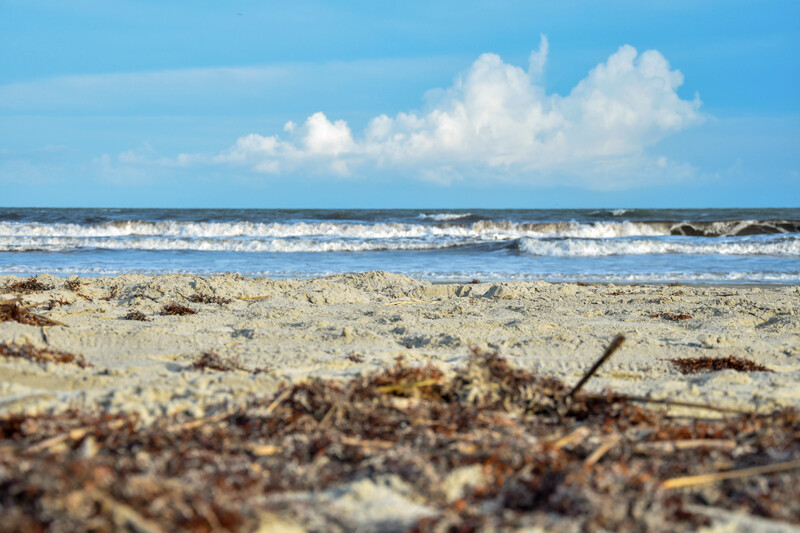 To take Kiawah Island’s stunning beach with you, hunt for seashells or fill a mason jar with sand. This makes a great decorative piece for your home and keeps the memory of your staycation alive until your next! If you don’t already have your own to pack up and bring with you, we highly recommend renting bikes. This is not only a great way to get around, but also the perfect way to see the island's diverse beauty. Bike to lunch, bike to the beach, or just go along for the ride and spectacular views. With over 200 species of wildlife roaming our home here on Kiawah, this is also a great way to catch a glimpse. Being a local, you may have done this before. However, the great news is that you will always get to see something new, whether it’s a newly chosen path from the 30 miles of options or a brand-new wildlife spotting. So, grab your helmets and gear up to ride! Kiawah Island is home to five world-renowned golf courses. Whether you’re a beginner or a seasoned pro, this activity will provide a fun outlet to get up, get moving, and enjoy the beauty of these courses right in your backyard! With top-of-the-line shopping in Freshfields Village, you’re going to want to bring your wallet along with you! Why not take advantage of the amazing shopping provided right in your town? After all, staycations are all about treating yourself! Some popular stores include Vineyard Vines, Lilly Pullitzer, Southern Tide, Holly & Brooks, and Bluemercury. Let’s not forget the best part of a staycation — trying new restaurants! A few great Kiawah Island dining options include Hege’s, The Ocean Room, Jasmine Porch, and the Ryder Cup Bar. As you probably already know, Charleston is known for its amazing food, but that isn’t restricted to just the downtown Charleston area; the culinary excellence continues to Kiawah Island as well! Try a new dish and be adventurous with your choice - you are on staycation, after all! Local or visitor, staycation or vacation, you are certain to enjoy the beauty and fun the island has to offer! Take a look at our vacation rental homes, villas and cottages. We have something for everyone!